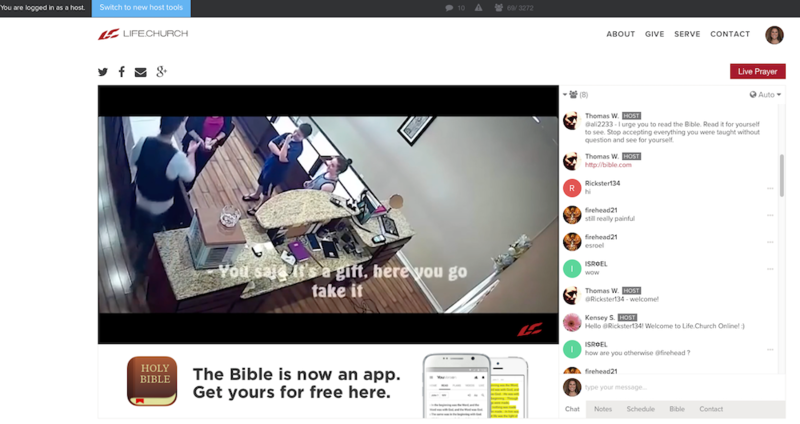 The Church Online Platform is built on the concept of “community around content.” Since talking and praying with #churchonline attenders is central to the purpose of the platform, we’ve built some features that make it easy to be a chat host during an online experience. View the video below for a walkthrough of the Host Workspace layout. During the rollout of the Host Workspace, you’ll be able to access the original view and the new view. To access the new Host Workspace view, navigate to your #churchonline experience and log in as usual. Once you’ve logged in, click “switch to new host tools” at the top left of the experience.